Guilty as charged. 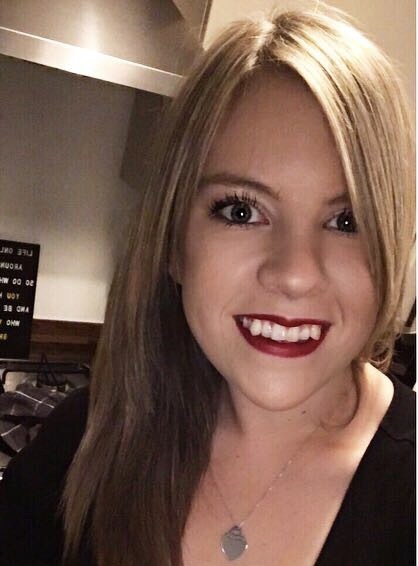 For a good 12 months I massively neglected my skin, I wet-wiped it every single day and although I'm a massive advocate of wet wipes rather than nothing I realised the importance of even a half decent skincare routine when I noticed my skin looking really dull and lack-lustre. Don't get me wrong I think tiredness and stress contributed to some of that but having spoken to an assistant in Sephora she made me realise that the fact that my skin wouldn't keep makeup looking decent probably was nothing to do with the fact that I didn't use primer (still bought one though obviously because: mini sizes strategically placed near the till!!!). Anyway, I raised my concerns about not wanting anything too heavy and oily or at the other end of the spectrum: a cleanser that would strip my skin of all natural oils because I've had one too many bad experiences with cleansers that have caused problems, mainly breakouts. 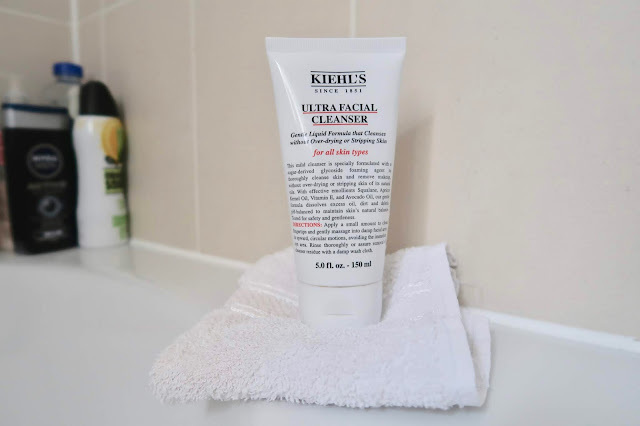 After trying plenty of different types I finally settled on the Kiehl's Ultra Facial Cleanser and I've been using it for a little over a month now so I thought it was the perfect time to share my thoughts. Firstly can I just say that Kiehl's packaging is the one. I love how simplistic and no-nonsense it is. This squeezy bottle has all the ingredients and directions for use on the front which makes up the packaging design itself. When I first tried this in the Sephora sinks I thought it was foaming which is an instant no go for me because I'm a firm believer that anything foaming strips your skin way too much but it's actually not foaming in the strictest sense, it's a gel kind of formula which is actually really soothing on the skin. It can't be used on your eyes which is a slight pain in the bum but because I really like the cleansing action of this I'm willing to overlook it. As with most cleansers you wet your face first, squeeze a small amount of product onto your fingertips and massage into your face with circular motions. I then rinse off with clean, warm water and then remove any excess product with a clean flannel. The Kiehl's no-nonsense approach also extends to the ingredients and the lack of huge amounts of perfume etc. is clear in the scent of the cleanser - it smells soapy as opposed to overpoweringly fragranced which is reassuring. The foaming agent is a sugar derived glycoside which, without sounding like I know exactly what I'm talking about where ingredients are concerned, means that it doesn't strip the skin like regular foaming agents do so although my skin feels cleansed and makeup/dirt free after using it, it doesn't feel like it's squeaky clean (because as Caroline Hirons says: you should never aim for squeaky clean anything, whether it be skin or hair). It contains soothing emollients (things which soften the skin) such as apricot kernel oil, avocado oil and vitamin E to ensure that your skin doesn't feel starved of moisture after washing. For me this is the perfect cleanser to use both morning and night for my normal/oily skin and (not surprisingly) I've found that it gives me the perfect base for applying makeup. Using this has given me a new found confidence to actually try other products from the Kiehl's brand so the Ultra Facial Cream is looking like a promising candidate when I've finished my current moisturiser. It also comes in two sizes on the Kiehl's website: 75ml (£9.50) which is the perfect travel size or if you want to kind of try before you buy or they also do the full size 150ml for £16.50 which doesn't break the bank too much where skincare is concerned. Do you have a favourite cleanser?